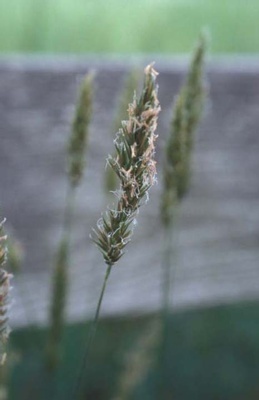 A perennial or winter annual grass that often produces a noticeable seedhead by April or May in many hay fields. 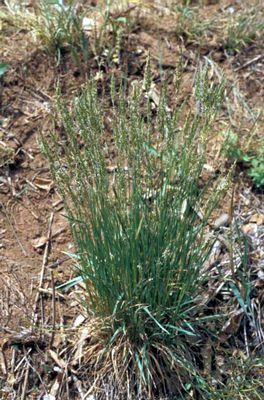 Sweet vernalgrass gives off a distinctive, sweet-smelling odor when mature. 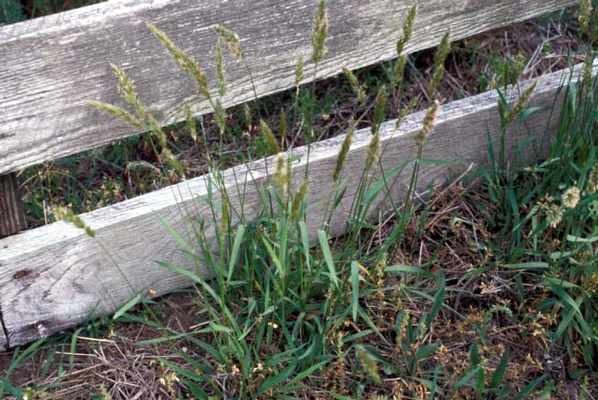 This plant is most commonly a weed of pastures, hay fields, roadsides, and ditch banks that is found throughout the southeastern United States and into Kentucky and West Virginia. Leaves are rolled in the sheath and may reach 10 mm in width. 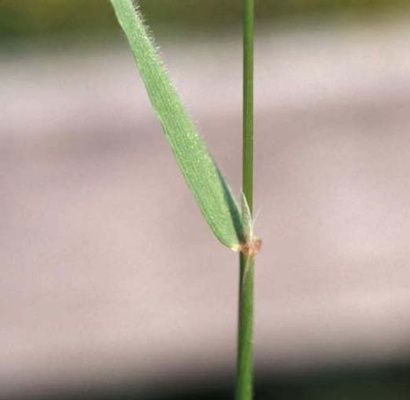 Upper and lower leaf surfaces, as well as the leaf margins, usually have short hairs. Leaves are without auricles and have a membranous, sometimes toothed, ligule. Ligules are generally 3-6 mm in length. Sheaths are round and generally without hairs except near the top. Sheaths are split and have overlapping margins that are essentially transparent (hyaline). Plants may reach 2 feet in height. A brownish-yellow spike that is approximately 3/4 to 2 3/4 inches long and 1/2 to3/4 inch wide. Each spike contains many spikelets that are approximately 6 1/2 to 8 1/2 mm long. Plants with brownish-yellow spikes and distinctive sweet smell. Additionally, the relatively early appearance of this grass in Virginia helps in its identification.